Afghan forces have killed a top commander of the Daesh Takfiri terrorist group in Afghanistan’s northern province of Jawzjan a year after he defected from the Taliban terror outfit and set up a new Daesh foothold in the crisis-hit country, security officials say. 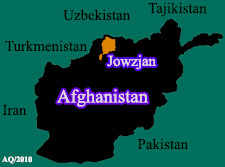 Afghanistan’s Tolo News channel, citing Mohammad Hanif Rezaee, a spokesman for Shaheen 209 Military Corps in Balkh province, reported on Saturday that Qari Hikmatullah, along with his bodyguard, was mortally wounded in an Afghan air forces drone strike in Moghol village of the Darzaab district on Thursday afternoon. Rezaee also confirmed that Daesh appointed Hikmatullah’s successor, identified as Mawlavi Habib Ur Rahman, to further unleash terror in the north of the country. US-led forces invaded Afghanistan and toppled a ruling Taliban regime some 17 years ago. That ongoing war has failed to bring stability to the country despite the presence of thousands of foreign forces. A recent survey found that the militants were active in two-thirds of the country and were fully controlling four percent of it. The Takfiri group, taking advantage of the resulting chaos, first appeared in the war-torn country some three years ago. As well as its main stronghold in the eastern province of Nangarhar, on the border with Pakistan, Daesh militants have been active in northern Afghanistan, maintaining a reign of terror and destruction in the country. As Daesh has completely lost all of its urban strongholds in Iraq and Syria during the past year, it has stepped up its terror attacks in war-ravaged Afghanistan despite the presence of thousands of foreign troops there. Last month, Daesh claimed responsibility for bomb attacks near Shia Hazara mosques in Herat and Kabul that killed dozens of people. The Hazara community, the poorest of the country’s ethnic groups, accounts for about 22 percent of Afghanistan’s population. In January, Leader of the Islamic Revolution Ayatollah Seyyed Ali Khamenei expressed regret over the deaths of Afghan civilians in Daesh terror attacks, saying the United States had been relocating the terror group from the Middle East to the South Asian country to rationalize its military presence in the region.